Wilkinson Sword is promoting the Hydro 5 mens razor with a print advertising campaign featuring a red hairy heart, just in time for Valentine’s Day. 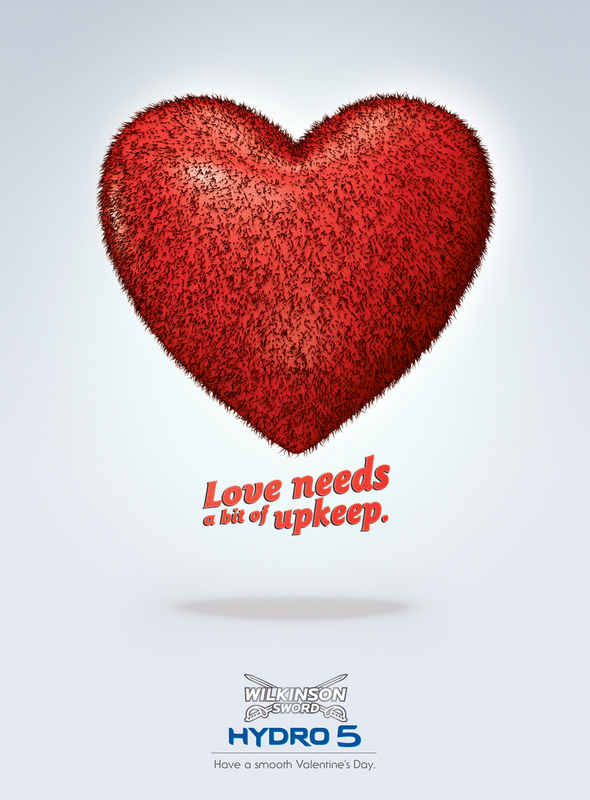 “Love needs a bit of upkeep. Have a smooth Valentine’s Day”. The Hairy Heart ad was developed at JWT, Paris, by creative director Ghislain de Villoutreys, art director Grégoire Louzon and copywriter Jérémy Prevost.